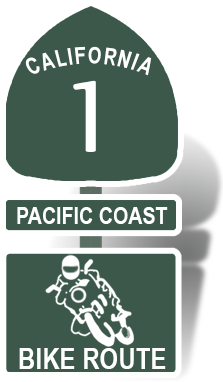 Established in 2008, this unique, full service motorcycle shop is located on scenic Highway One in southern Mendocino County. Nestled in the historic coastal town of Point Arena, the shop specializes in vintage to modern European motorcycles, though all major brands of bikes are welcomed. The unusual shop name reflects a love of the Robert Pirsig book, as well as a belief in Zen Business Practices; Quality Services at Fair Prices. Rejecting the predominant business paradigm, which tends toward exploitation, The Zen House owners, David Harris and Kelley Litle, work to establish mutually beneficial, long-lasting relationships with their clients. These business practices, combined with Harris' mechanical knowledge and skill, draw a wide variety of motorcyclists to the shop. New customers are often astounded at the diversity of motorcycles and the variety of on-going projects they find at The Zen House!! Motorcyclists across North America bring in their rare Italian bikes for restorations, engine rebuilds and performance work. It is quite common to see a vintage Ducati Desmo, or a modernTT race motor being assembled. Rare Mondials, Motobis, and Aermacchis are all common sights at The Zen House; as well as the beloved vintage British standards. The shop also draws in riders from the Bay Area, Marin and Sonoma Counties for routine maintenance on their Moto Guzzis, Ducatis, BMWs, Cagivas, Triumphs, KTMs, and Husquvarnas. Many of these Zen House clients schedule their services to coincide with a long weekend on the coast, enjoying the many attractions of Point Arena. Local Mendocino County residents and world travelers are pleased to find the Zen House carries all the motorcycling products they may need for their Hondas, Harleys, Yamahas andSuzukis; from oil, batteries, tires and filters, the shop has what motorcyclists need, all at affordable prices. 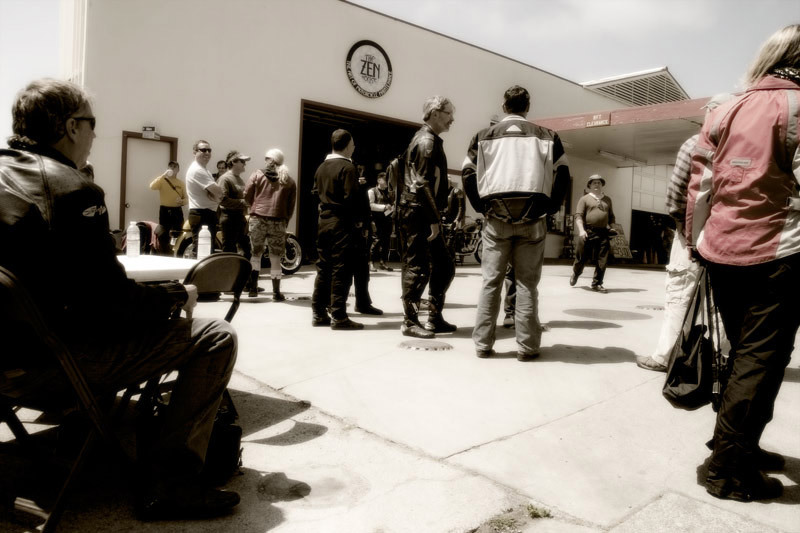 The Zen House has established itself as one of the premiere northern California motorcycle shops. Next time you are in the vicinity, stop by and experience ZEN, you'll be glad you did. 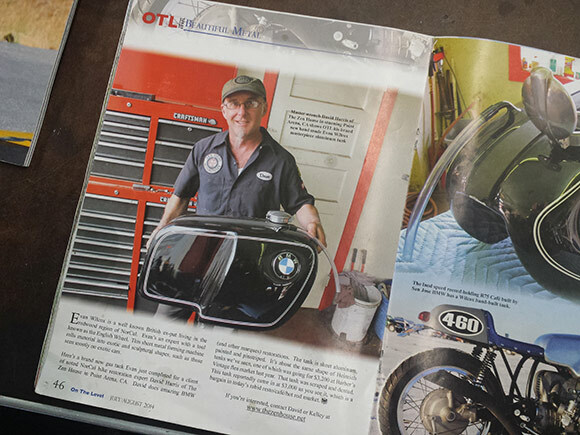 Master Mechanic, David Harris, has been fascinated with working on motorcycles since the age of fourteen, when two friends and he bought their first dirt bike, without their parents' knowledge. Harris worked on bikes throughout his teenage years and while attending Cal Poly, SLO. After graduating 1991, with a degree in architecture, he discovered his passion for design; form complimenting function, did not translate into a fulfilling career within architecture. Thus, he began his quest. While traveling around the world on his motorcycle in 1995 and 1996, Harris decided he would dedicate himself to pursuing a livelihood through his true passion, motorcycles. At the end of his world travels, he met his other life's love, his future wife and business partner, Kelley Litle. In 1998, Harris took his passion and determination to GP Motorcycles in San Diego, CA; a new Ducati Dealership. Harris apprenticed at GP Motorcycles, growing into the Service Manager and Head Mechanic within two years. While honing his skill, with the aid of renowned mentors and colleagues, Harris helped make GP Motorcycles one of the leading Ducati Dealership within the U.S. When not working on motorcycles, Harris could be found racing a vintage 1970 BMW R75/5 on the AHRMA Vintage Race Circuit. Making older motorcycles go "really, really fast" is one of Harris's greatest passions. While still managing the service department at GP, Harris helped develop engines for the Husqvarna Supermoto team. Eventually, he found himself the Chief Mechanic for the Husqvarna Team, which enabled him to move to his dream location, Point Arena, CA. Harris and business partner Litle have created a unique, full service motorcycle shop that reflects their beliefs and passions; living in harmony with the community, providing quality services at fair prices, building relationships all through his love of and devotion to motorcycles. Kelley Litle's first experience with a motorcycle occurred in 1996, after meeting her future husband and business partner, David Harris. Riding behind Harris on his 1971 R60/5 BMW, she fell in love with both the man and the machine. 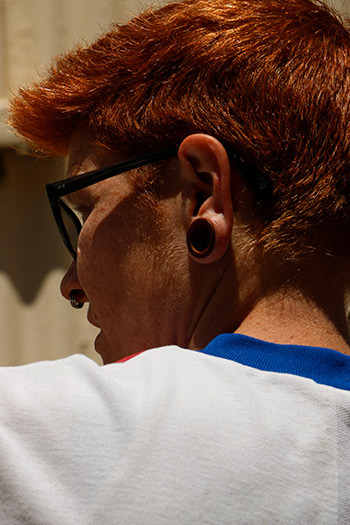 In 1998 Litle completed her master's degree in Industrial/Organization Psychology and moved with Harris to San Diego, where she took a position as a corporate trainer. After becoming disillusioned with corporate life, Litle found yoga and became a yoga instructor in 2004. After much plotting and planning Litle and Harris left San Diego for Point Arena, CA in 2005, with the crazy plan of opening a Motorcycle Shop called The Zen House. 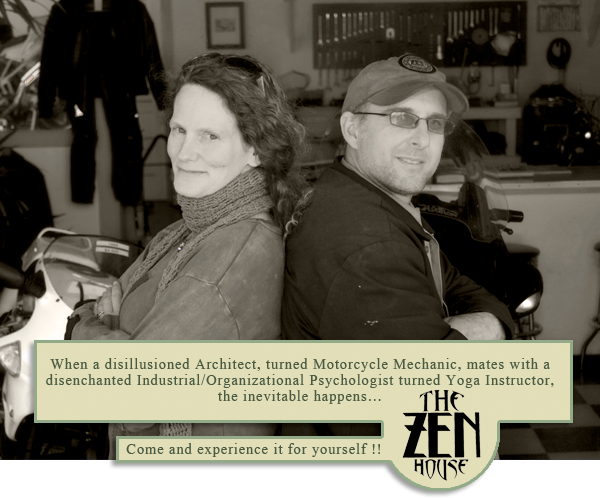 In 2008 Litle and Harris opened The Zen House: The Art of Motorcycle Maintenance on Main Street, in Point Arena. As co-owner of the Zen House Litle manages the day to day operations of the shop and serves as the marketing specialist. She is the force behind the Zen House's fun and engaging marketing events including the monthly MotoGP Gatherings. After enjoying motorcycling from the perspective of a passenger for 14 years, Litle took the Motorcycle Safety Training course in 2010 and currently rides a 1997 Ducati Monster 750 and a 1990 Honda GB 500. She intends to never ride pinion again. 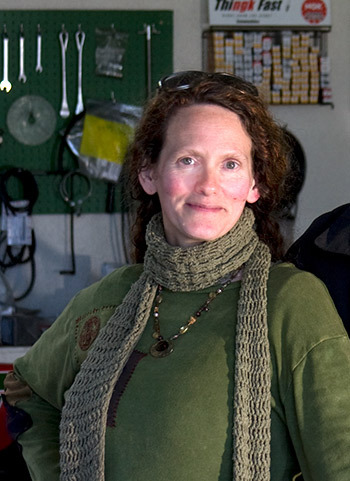 Together Litle and Harris plan to grow the Zen House, while enjoying themselves, motorcycling and living along the Mendocino County Coast for many, many years to come. The Zen House's Junior Mechanic, Trash Savickas, was 12 when she went for her first motorcycle ride on the back of a neighbor's Harley. Afterward, she wore a neighbor's motorcycle helmet while riding her bmx bicycle, pretending she was actually riding a motorcycle. As a young adult, Savickas was an avid bicyclist with bicycles being her main mode of transport. However, after relocating to San Francisco from the Midwest she found bicycling exhausting in Sausalito and the bay area. After bicycling down HWY 1 from Hoopa to SF, Savickas was ready to trade her pedals for a throttle and engine! She was hooked on motorcycles the first time she let out the clutch...which was during a motorcycle safety training course in 2008. Savickas quickly realized, if she was going to ride, she would need to learn how to maintain and repair her motorcycle, since taking the bike to a qualified mechanic was not in her budget. Enrolling in San Francisco City College, Savickas took every class offered relating to motorcycle repair, including fabrication/welding. She enjoyed these classes immensely, finding herself excited about learning for the very first time in her life! She had found her passion! In 2010, while riding her 1974 BMW R90/6 up the coast, Savickas first came across the Zen House during an Airhead Open House. The minute she set foot in the shop she felt so comfortable. She had been to many dealerships and big shops...but nothing like this...she loved the feel of the shop, it just felt like home. Savickas told her riding partner, "I want to work here someday." After her first Zen House visit, Savickas visited the shop's website and read every word. Resonating with The Zen House's philosophy, she sent an e-mail expressing her desire to work there. As her motorcycle knowledge and experience continued to grow, Savickas regularly contacted The Zen House, waiting for the day the shop was ready to take on an apprentice, which happened in October, 2014. Trash Savickas rides a 1971 Honda cb350, a 1981 Yamaha XT250 and has 2 SOHC Honda cb750s that will one day be 1 running 750. She aspires to have a GL1200 Goldwing in her stable, as well as vintage Japanese 2 strokes. Since staring work at The Zen House, Savickas says "There has NEVER been a day where I've woken up and thought Oh NO...I have to go to work!" She loves being a part of The Zen House and making motos run well, even the super ratty, messed up ones, makes her heart sing.